Disorderly persons offenses are a broad classification under New Jersey law, encompassing charges ranging from simple assault and disorderly conduct to possession of marijuana and drug paraphernalia. If you are arrested for a disorderly persons offense in New Jersey, your case will be sent to the Municipal Court in the municipality where the charges originated. Although disorderly persons charges are considered lower-level offenses, they do result in a conviction on your criminal record if you are ultimately found guilty. If you are facing a disorderly persons charge, it is highly advisable to find an experienced criminal defense attorney who can work to have the charges downgraded or dismissed. 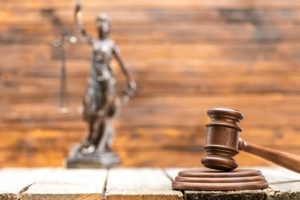 At The Tormey Law Firm, our lawyers have successfully resolved thousands of disorderly persons cases in Municipal Courts throughout Morris County and New Jersey. With a former Municipal Prosecutor on staff, we know what it takes to beat these charges. Our goal is always to achieve the best possible outcome so you can move on with your life without the hindrance of a criminal record. If you have a disorderly persons case in Parsippany, Montvale, Denville, Mount Olive, Madison, or elsewhere in Morris County, we can help. For a free consultation with a Morristown criminal defense lawyer who can answer questions about your specific disorderly persons charge, contact us at (908) 336-5008 or online today. Is a disorderly persons offense a crime in New Jersey? A disorderly persons offense is not an indictable crime (felony) in New Jersey. Instead, a DP offense is similar to a misdemeanor, which means the person charged is not subject to an indictment, nor is he or she entitled to a trial by jury. As such, if you have a disorderly persons case, you will go before a Municipal Court judge as opposed to a jury of your peers. It is important to note that under NJ law, any offense punishable by more than 6 months in jail is a “crime.” A disorderly persons offense is often thought of as a catch-all for criminal offenses that are not “crimes” in the sense that a person is not indicted. What are the penalties for a disorderly persons offense? The potential penalties for a disorderly persons offense in New Jersey include a county jail sentence of up to 6 months and a fine of up to $1,000. There are also court assessments and fees associated with a disorderly persons conviction, including $33 in court costs, $50 for the Victims of Crime Compensation Board, and $75 for the Safe Neighborhood Services Fund. In addition, a person may be sentenced to probation and/or community service for a DP offense. Certain charges like marijuana possession also entail a mandatory 6-month driver’s license suspension. Lastly, disorderly persons charges resulting in property damage or those involving theft may result in restitution payments to the victim. The major drawback of a disorderly persons offense is that it will result in a conviction on your criminal record. This can become an issue as you pursue jobs and other opportunities in the future. Fortunately, there are ways to have a DP charge downgraded to a municipal ordinance violation, which doesn’t qualify as a criminal offense in New Jersey. There are also diversionary programs like conditional discharge and conditional dismissal that can be used to have the initial charges dismissed upon successful completion. a. An offense defined by this code or by any other statute of this State, for which a sentence of imprisonment in excess of six months is authorized, constitutes a crime within the meaning of the Constitution of this State. Crimes are designated in this code as being of the first, second, third or fourth degree. b. An offense is a disorderly persons offense if it is so designated in this code or in a statute other than this code. An offense is a petty disorderly persons offense if it is so designated in this code or in a statute other than this code. Disorderly persons offenses and petty disorderly persons offenses are petty offenses and are not crimes within the meaning of the Constitution of this State. There shall be no right to indictment by a grand jury nor any right to trial by jury on such offenses. Conviction of such offenses shall not give rise to any disability or legal disadvantage based on conviction of a crime. If you have been arrested for a disorderly persons offense in Morris County, New Jersey, you may feel overwhelmed or intimidated by the legal process. Don’t worry. Contact The Tormey Law Firm in Morristown for a free consultation. We can be reached anytime at (908) 336-5008 and one of our knowledgeable defense lawyers will be happy to explain your DP charge and all of your options. With offices in the heart of Morristown, we appear in courts in Boonton, Washington Township, Morris Township, Chatham, Kinnelon, and everywhere in between.